Influencer marketing can be an incredibly fast and cheap way to get the word out about your business…but it’s possibly one of the easiest forms of marketing to get wrong. See, a lot of businesses out there try to get into influence marketing, but they end up wasting a ton of their time and money on doing it the wrong way. Next thing you know, they get disillusioned and give up. Then they go back to paying for expensive, low-converting advertisements and their business suffers. I don’t want this to happen to you! I want to show you the RIGHT way to do influencer marketing so that you can keep your overheard low, create massive buzz around your business, and take home more of your profits! Don’t just chase around the people in your community with the biggest audiences, and don’t feel like you need to stay strictly within the bounds of the fitness industry. 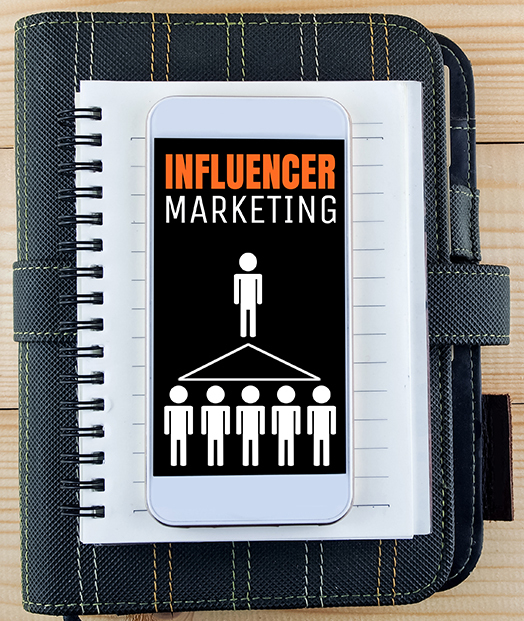 Plan your influence marketing the smart way with my tips on who you should and should not choose as influencers. The key to effective influencer marketing is right there in the name: influence! Think about the top 5 people in your life who have the most influence over you. Odds are, at least 2 of those people are not even remotely famous and aren’t even necessarily in your industry. So let’s look at who currently IS influencing your target market – you might be surprised to find out! Just about everyone needs haircuts, right? So whatever your target market is, you can probably find a local hair salon or barbershop that caters to them pretty easily. Why not offer some free training sessions to the people working there? Some of them might even turn into clients, but the real benefit is that if you get them RAVING about your training, they’ll naturally start turning their customers into YOUR clients. That’s the funny thing about haircuts: it’s an oddly intimate moment happening between two strangers. The usual small talk can wander into some pretty honest stuff, if the hairdresser knows what they’re doing and they make the customer feel comfortable. Folks, that right there is a huge window of influence. And if you’ve already converted that hairdresser into a fan of yours, guess what will happen? BOOM – that’s a warmed up prospect right there who is ready to come seek you out! This is an option you may have thought of before, but I want to make sure you’re tackling it from the right angle. However, that tactic ignores the way people really behave in these stores. First off, you have to recognize that anyone walking into a nutrition store has already pre-qualified themselves a little bit for your training. They’ve already taken things one step further than the people who sit on the couch wishing the weight would disappear. 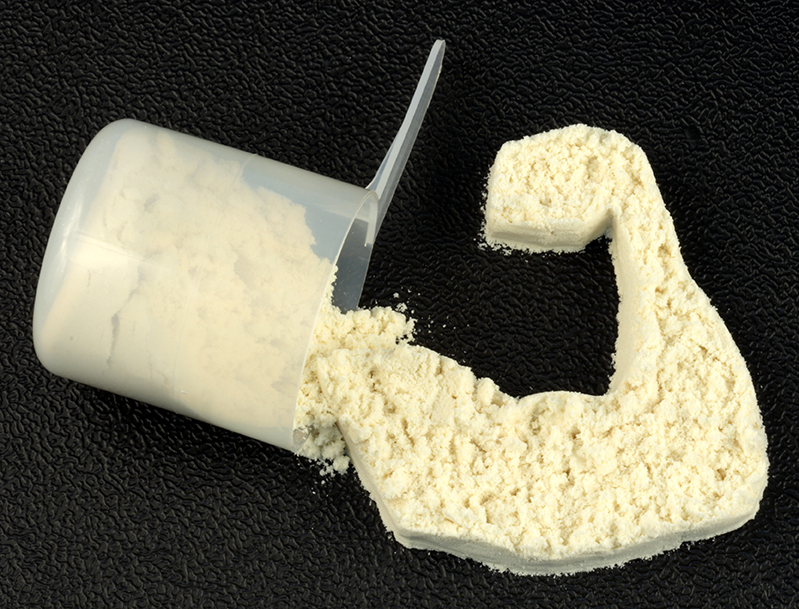 The people looking for weight loss/energy/mood supplements will eventually start to seriously consider personal training, since supplements don’t work all on their own. And when that moment comes, the first thing they’ll do is ask the shop employees where they work out. After all, the people who work at those places tend to be pretty fit, right? They’re already part of the fitness culture, which in the eyes of their customers makes them mini-influencers. Of course, you’ll have to approach these employees differently than you would people in other industries. They probably have their own training plans already, so offering them freebies won’t work. Instead, be direct with them. Let them know you’re looking to get more clients, ask if there’s any way you can collaborate with them, and maybe even offer them a referral bonus for sending people your way. Or, talk to the store manager and see if you can cross-promote some of their goods. And, of course, get the whole team there to like you personally. Take some time to just straight-up talk to them. Show them you’re a real person who is fun to do business with. It can be very tricky to get the attention of Real Estate Agents, but man, it REALLY pays off when you do. They are some of the busiest people out there (especially the successful ones) and their work requires them to be in a lot of different places at a lot of different times. If you can even get them to listen to you at all, they will most likely filter you out. So how do you get past their wall of busy-ness? There’s 2 methods. The first method is to completely search your existing social network to find anyone who works in real estate. Ask your family. Ask your friends. Ask their friends. Ask your clients. See if someone, somewhere can make an introduction for you. The second method is just raw persistence. Look up the contact info for all your local agents and just be relentless in leaving them positive, professional messages saying that you want to help them. Don’t ask for anything in return yet. Just reach out over every channel you possibly can. Facebook, email, Twitter, phone – do whatever it takes. For these folks, you definitely want to offer free training. For the amount of influence they wield, you could probably even justify a few months of free training, or even an ongoing “influencer discount” of some kind. Here it is: real estate agents deal pretty much exclusively with people who have the money for your training, and since those people are moving from somewhere to your community, that means they’re new to the area and eager to hear recommendations on where to find the best goods and services. Real estate agents are their first point of contact, so make sure when the topic of fitness comes up, YOUR NAME is mentioned first! Now we’re getting into the influencers you should avoid…and the first one is fairly simple. You want to avoid trying to grab the biggest celebrities in your town simply because chasing them is not an efficient use of your time and energy. Sure, they can make a big splash when you get them, but the larger a person’s status is in their community or industry, the tougher it is for a stranger to get in touch with them. Think about it: famous, accomplished people are CONSTANTLY getting pitched at by eager youngsters. If they took the time to individually consider each pitch, they wouldn’t have time to do all their great work! That’s why most of them end up blocking and filtering out everyone they don’t already know and trust. That’s not to say you shouldn’t have the ambition of working with those people…if anything, you should embrace the hunt for mini-influencers as your way of earning an audience with the big names. The truth is, the only real way to get the attention of the world’s greatest movers and shakers is to build something equally impressive yourself so that THEY come to YOU. And the way you do that is by reaching out and doing good business with all the mini-influencers who are there along the way. It might be worth stepping in just to announce your business and grab some contact info for local resources, but for the most part you should avoid these things like the plague. In my experience, a “chamber of commerce” is usually a group of sad sacks sitting around complaining about external factors that are holding back their businesses…while simultaneously doing NOTHING to take control of the situation themselves. I’d like to believe there are exceptions, but until I see proof I’m just gonna say “stay away.” You don’t need those energy vampires in your life. This goes back to what I was saying earlier about asking around with people you already know, but I really want to drive home this point. I see a lot of new business owners magically forget the resources they have at their disposal already and try to spend all their money and resources things that are potentially useful, but not all critical to building their businesses. For many of them, this can take the form of endless cold pitches to anyone remotely useful they can find. Their method of zero planning and zero relationship building ultimately leads them to zero results. Conserve your precious time and energy and use the connections you’ve got first! Trust me, you’ll get to the big names when you’re ready for them – and they’re ready for you.